When asked for feedback after last year's Philly Beer Week festivities, one of my top suggestions to "The Committee" was related to transportation. Of the days I attended, if I recall correctly, all but two of them begun and ended on a train from and to the 'burbs. It worked out almost seamlessly each time. But, I was hoping for some involvement from SEPTA or private transportation company to provide some better transport around town to the various events. Like the transportation package deals that are arranged for other major conventions, like the annual Flower Show, discounted rates and more frequent service would make some sense. There was, at one point last year, some discussion about private shuttle buses of some kind to get people directly from one event to another. Apparently that never came to light. Getting to know and understand the bus service (with the lack of great inter-city SEPTA train service) can be tricky for those who aren't very familiar with it or the city's layout. So I thought the idea of these private shuttle buses was brilliant to literally get people from door-to-door once in the city. For example, I began one night at Bridgewater's at 30th Street Station, walked along a bus route to get to London Grill (hoping to hop the bus as it passed, but no luck), waited for and then took a different bus from London Grill to Old City where I went to The Khyber, then Triumph, before hailing a cab back to 30th Street Station. This was typical of other days as well where the Broad Street Subway was used to reach South Philly Taproom, the Market Frankford El got me to Johnny Brenda's and Memphis Taproom, and the Subway Surface Trolley got me to Dock Street Brewery. I wouldn't expect many out-of-towners to put this level of planning or learning into getting around the city. That's why some level of shuttle busing would sure have been nice. Especially where there are clusters of events that might make sense to promote as one. So where are we this year? I don't yet hear any chatter of private shuttles, but we do have a deal with SEPTA. $9??? Brilliant. Unlimited! All-day! Every form of SEPTA! Awesome. For a traveler looking to take in a day or two of events this might work out very well. If you're spending everyday in the city and looking to use SEPTA, a weekly pass might be a better plan (dunno since I didn't crunch the numbers). Whatever you do, make sure you check out SEPTA's offer. The PBW committee put a lot of effort in to securing this deal and when it comes to drinking and safety, you owe it to yourself and your loved ones (not to mention strangers on the street) to be responsible. Sip Safely with SEPTA, an unlimited, all-day, bus-trolley-rail pass that will be sold for $9.00, valid any one day between March 6 and March 15. This pass is valid on SEPTA services, to encourage PBW participants to travel safely, rather than driving from event to event. Sip Safely with SEPTA passes will be available for sale at most SEPTA locations starting January 30. 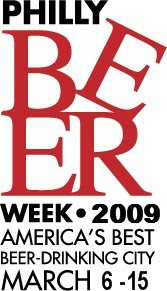 For a complete list of sales locations, or to purchase a pass online, please visit www.phillybeerweek.org and click on travel.